Mega Food Parks was the most ambitious of the several schemes that the Indian government launched to propel the growth of the food processing industry. However, performance remains far from satisfactory. 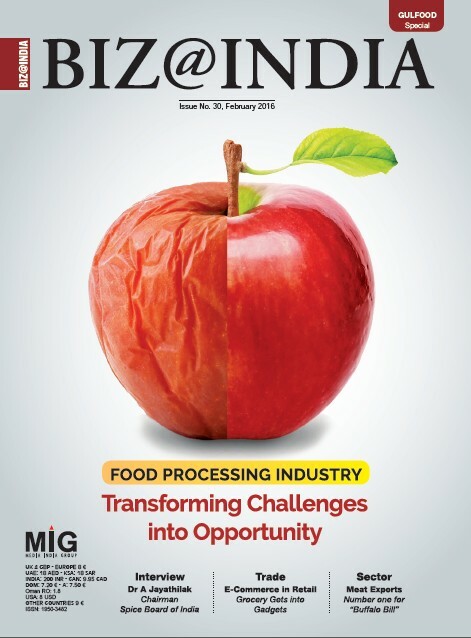 Eight years ago when the ministry of food processing industries (MoFPI) launched Mega Food Parks (MFPs) scheme, it was expected to be the game changer in the domain and finally generate traction in an industry where years of tax holidays and all kinds of fiscal incentives had failed to attract enough players. Spread over a partially developed parcel of land, measuring at least 50 acres, with all the common facilities such as electricity, water, common effluent treatment plants and of course extremely attractive tax subsidies, the MFPs were meant to be the launchpads for the Indian food processing industry. A number of states got onto the bandwagon, hoping to attract dollops of investments from Indian and foreign investors, and to give a push to the local farming community, which for decades has suffered from grave uncertainty over not just how much their harvest would be, but also whether they would be able to find a buyer and at what price. The development of MFPs was meant to put an end to the vagaries of the market and create an assured market for the agricultural produce of the farmers and throughout the year, rather than remaining a seasonal affair. The projects, launched under a public-private partnership scheme, involved a combined investment of INR 98 billion (USD 1.4 billion) with the objective of ensuring that at least 20 pc of the country’s food production is processed and that India’s share in global food trade rose from 1.5 pc to 3 pc. The schemes, at least on paper, made a lot of sense. 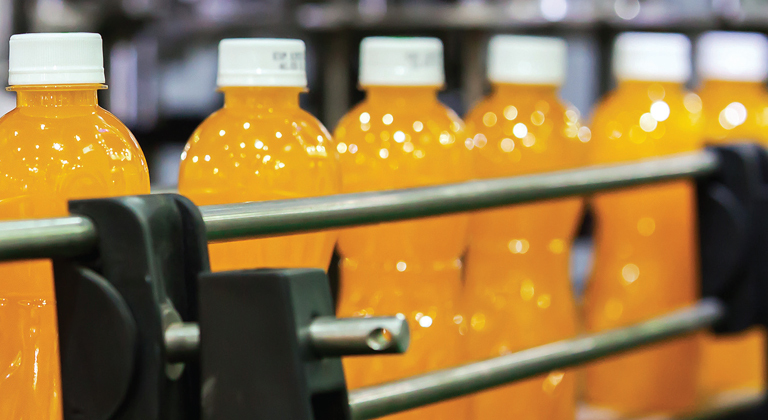 To propel the growth of food processing industries in the country, government gave subsidies of upto INR 500 million (USD 7.3 million) to each developer of MFP, besides providing assistance in acquisition of nearly 1,200 acres of land for each. The developers were to set up a cluster-based facility that would include collection centres for farm products, primary processing centres and basic infrastructure such as cold chains, packaging, quality control labs, bottling units and pulping lines. The facilities were to also include common effluent treatment plants, storage units and transport facilities. However, nearly a decade later the dream has failed to turn into reality and even today less than three pc of India’s total agricultural and horticultural produce is processed and as the annual wastage of food products that cant find their way to the markets continues to hover around 40 pc of the total production of the country. Of the 42 proposals to set up Mega Food Parks (MFPs), which were cleared by the government, only five have seen the light of the day so far, with most of the others remaining on paper only. Even minister Harsimrat Kaur Badal admits that most of the developers that had come forward in the initial period were perhaps only interested in getting hold of the large tracts of land that the government had facilitated for acquisition. She goes on to say that some of the developers may have gotten into the business only to encash the government subsidies. “It seemed that most developers were interested in the INR 500 million (USD 7.3 million) grant and in getting the change in land use from agricultural to industrial and wait for land prices to appreciate. They never seemed to have the intention to put up an MFP,” says Badal. In the last year or so, the MoFPI has identified 17 such developers and cancelled their approvals. The government had hopes on various fronts from the MFPs. The primary objective was to provide an assured market place for the farmers and preferably not too far from their farms and with a degree of certainty, which is missing from the Indian markets that often become prey to speculations and hoardings, mainly by the numerous middlemen involved in the transportation of farm products from the harvest to the consumer. In addition, the government was also looking at the MFPs to generate employment in the rural areas where there are not many job opportunities, leaving most of the rural inhabitants, nearly about 66 pc of over 1.27 billion Indian population, with a few alternative employment options other than agriculture. The government’s objective was to have about 35 units in each of the Mega Food Parks, with a collective investment of INR 2.5 billion (USD 36 million) for each park, to generate an annual turnover of about INR 5 billion (USD 73 million) each and thus each MFP was to provide direct and indirect employment to the extent of about 30,000 persons. Sanjay Arora, vice president of Technopak, a consultancy and market research agency says that MFPs have also been harmed due to the involvement of a large number of agencies of the concerned state governments as well as organisations at the federal level. “The process of creating infrastructure involves state clearances and approvals from different organisations like power, water, sanitation and environment. Often, projects get delayed due to approvals and coordination with various state agencies,’’ says Arora. He goes on to say that to resolve the situation, the state governments need to be more involved in the execution of the scheme. “The state governments can have single window clearances for MFPs and other large-scale infrastructure projects. Many states have developed specific policies for Industrial Parks/Textile Parks and on similar lines, policies can be developed by states for MFPs with additional grants and benefits like stamp duty waiver,’’ adds Arora of Technopak. Badal says that her government is committed to resolve the issue and ensure that the MFPs become the motors of development for the food processing industry in the country. “There have been delays but my goal is to create the infrastructure within the given time frame. The food processing sector can bring in a lot of investment and once we create the infrastructure, it will be a huge step in the direction of initiatives such as ‘Make in India,” says Badal. The MFPs have suffered not just due to bureaucratic tangles and red tape but numerous other obstacles. One of the main reasons has been the failure of the promoters in raising finance for the MFPs as they have difficulties in convincing the banks about the new concept and hence failed to secure loans required for mounting the projects. Another challenge has been the acquisition of land. MFPs need a minimum of 50 acres of land. Acquiring land has been the bane of a vast number of industrial projects in India, from the very large players such as the Korean steel maker, Posco, which tried to acquire thousands of acres of land for its ambitious project in Odisha to much more modest ventures that need just a few acres. Another hurdle has been to convince companies to set up shop within the MFPs, where the rental may be higher due to the common facilities that are offered as part of the package. Lastly, a laggard global economy has not helped the growth of food processing industry. But not all food parks have failed. The Patanjali Food & Herbal Park in the northern state of Uttarakhand has been extraordinarily successful. Interestingly, the Food Park in Haridwar was conceived even before the government had announced the mega scheme. “We were building our own food park, independent of the government scheme. The land was acquired in 2007 and construction had started. It was during our discussions with ministry officials that the idea of developing it along the lines of MFPs emerged. We applied for it when the scheme was announced by the government. Subsequently, we started developing it as per government’s guidelines,” says Acharya Balkrishna, promoter of Patanjali Food Park. Another rare success, though much more limited so far, is the Srini Food Park in the southern Andhra Pradesh state. Srini generated a total production of about INR 200 million (USD 2.9 million) in the fiscal year 2014-15. Raveendra Nalluri, executive director of Srini Food Park, recounts the tough journey so far. “It was a constant struggle to convince banks about food parks, because it was a new business model. They were not flexible and charged high interest rates that are usually associated with infrastructure projects. We started with 12.5 pc; it went up to 16 pc and, currently, we are paying 14 pc. Usually, food processing units are offered loans at 9 pc,” he says. Srini is spread across 142 acres. But only eight small enterprises have set up shops in the park so far, occupying just 22 acres. “They had apprehensions about relocating in food parks. Some felt that a lease agreement would impact their freedom of operations. Some wanted a cheap developed land and did not consider the cost of infrastructure. Also, they did not have any specific incentive for relocating in MFPs,” says Nalluri, adding that the multinational corporations, which were interested in starting operations in the food park wanted very large tracts of land and Srini lost out to Sri City Special Economic Zone (SEZ). According to sources, Pepsico was one such company that was looking for a 50-acre plot in the MFP, but finally settled for the SEZ. Experts also blame the current business model, which makes the food parks simply real estate aggregators rather than businesses that participate in processing the food and also selling them, with the necessary branding and marketing that is the need of the hour. 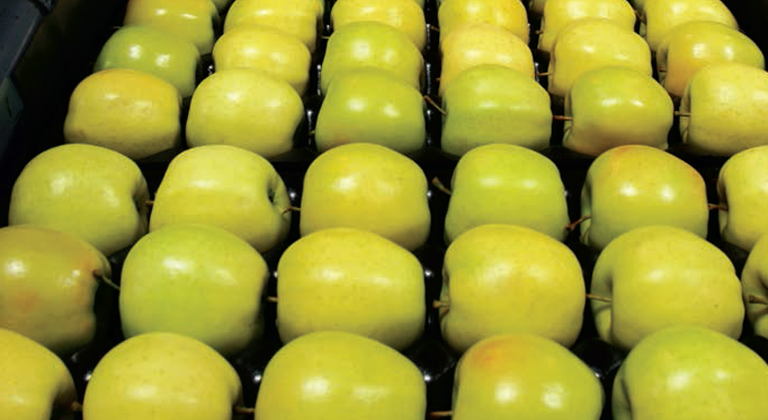 “Food parks should not just be facilitators of infrastructure. They should also be involved in production and marketing. A small entrepreneur will find it difficult to sell the product on his own, but the presence of an anchor brand will give impetus to the food processing industry and encourage smaller players to move into these parks,” says Patanjali’s Balakrishna, adding that Patanjali Food Park owes its success partially to the fact that it itself was one of the biggest producers of branded food products in the park and a number of smaller units established in the MFP were simply suppliers of various goods and services for Patanjali’s own production.